TUM researchers are perfecting laser parameters with the target of a better control of the thermal stability of the system and of the light propagation with continuous excitation activated inside silicon chips. 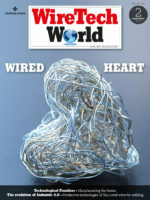 The scientific community and semiconductor manufacturers believe that a rise of computers’ processing performances is now possible only exploiting the light, optical fibres and lasers. Since the beginning of the microelectronics era, 50 years ago, the processors’ performances have doubled almost every 18 months and Gordon Moore, one of the founders of the world giant of integrated circuits Intel, had synthesized this constant growth in his famous “law of Moore”. However, it is impossible that this trend can go on if based on silicon only, because the current transistors integrated into chips have today sizes of few nanometres and the electronics miniaturization has essentially reached its physical limits. A further reduction would involve absolutely unfeasible economic costs, therefore only one viable way remains: replacing electrons with light particles, i.e. photons. Actually, some silicon-based photonic chips already exist, where the data transmission among the various logic sections is performed by photonics, but the integration of light sources into silicon is still complex and expensive, to the extent that the researchers of universities and industries are actively researching alternative approaches. Concerning this, an outstanding result has been achieved by the researchers of the Technische Universität München (TUM), in Munich, since they have succeeded in making some laser nanowires “grow” directly on a silicon substrate, enabling the future production of photonic components at affordable costs. 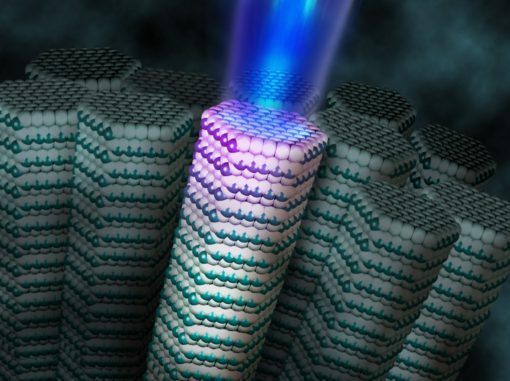 Laser nanowires have been implemented literally atom upon atom, using successive deposits of gallium arsenide, but previously researchers had to face and solve a very challenging problem: to generate a coherent light, photons must undergo a reflection between the base and the ending part of the wire, from which a light amplification up to the attainment of the necessary threshold for the laser effect. However, the interface between gallium arsenide and silicon did not reflect sufficiently the light, therefore it was necessary to implement a mirror, actually a layer of silicon oxide, with an evaporation process that has placed it directly in a silicon cavity, from which they have then started the growth process of laser nanowires. At present, laser nanowires produce only infrared light at a predefined wavelength and researches go on to achieve results that are less constrained by specific light features, to widen the future application fields.